We recently visited a dealership offering a too-good-to-be-true price on a Chrysler Pacifica Touring L ($23,500 after rebates). I texted with the dealership before visiting and they claimed it was the real deal. Then went to the dealership and was assured it was the real deal by a salesman, although I didn’t qualify for all the rebates. Good enough; we viewed a car that my wife liked, started working the numbers and got a price nowhere even remotely close to the advertised price. The salesman and manager’s first strategy was to suggest they couldn’t find the previously discussed special on their website, insinuating that the page I was presenting on my phone was fabricated or doctored in some way.... Then it was claimed the IT department made a mistake, and wording on the website suggests there may be mistakes, and so prices are not binding. 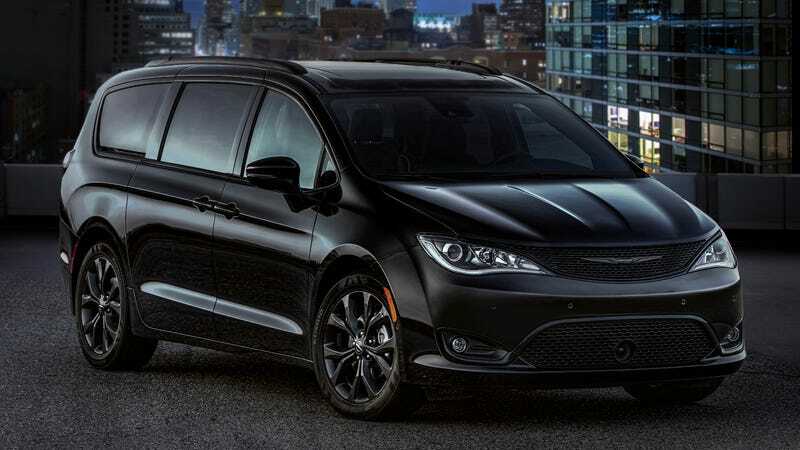 In any case, I realized later what they are doing is listing the MSRP of a Pacifica Touring, subtracting rebates from that, and advertising it as the price of a Touring L.
But my question is; is this legal? I know there are protections for things like accidental misprints in advertisements, but this seems like a deliberate misrepresentation. And it’s still up on the website days after the whole to do. While dealers like to play fast and loose with online pricing, especially rebate stacking incentives, and discounts, they do have to adhere to some very specific rules regarding advertising. They can’t post the sale price for a less expensive car and tell you it is for a different trim that is more expensive. Even if they hide behind the “we aren’t responsible for errors in the ad,” disclaimer they can still be investigated and fined by the Federal Trade Commission, which is the government entity that can bring an enforcement action against dealers (and other retailers) to engage in false or deceptive advertising. Your best bet is to file a complaint with them. I’ve been trying to buy a 2009-2012 manual hardtop Porsche 911 for the better part of 6 months. My budget is $45k and I can pay cash (certified check). I’ve come close to closing a deal on several cars now and the experience has been extremely frustrating. The first car with 40k miles I negotiated a price of $43.5k contingent on a PPI. I met the owner at an Indy shop to complete the inspection and they found about $8k worth of items that it needed. Nothing serious, but some wear items like clutch, brakes, and tires were needed. I figured $39k was a fair offer, but the owner wasn’t willing to budge from $43.5k. I live in Birmingham Al, and the car was in Atlanta, so this turned out to be a wasted trip. The second car was an 09 S model with 55k miles. I negotiated $46k with the owner contingent on a PPI. PPI uncovered a stage 6 overev at 316 hours on the engine. Although it was early in the car’s life, there was no indication of any engine work that would ensure the longevity, so I walked from that one. It was also in Atlanta, but at least I did it all over the phone and didn’t waste a trip. The last car was an 09 in DC with 45k miles. The PPI uncovered an accident repair that the owner didn’t know about and hadn’t been indicated on the Carfax. The owner was willing to negotiate, and we agreed on a price of $41.5k. It turned out that the owner didn’t have the title, and had to get a loan to pay it off and get it from his bank. He originally wanted me to pay and offered to send me the title, but I figured it was too risky. After 2 weeks of waiting, he communicated that we could meet in a week, but also revealed that he had been driving the car. I told him I was okay with waiting but insisted he pay for just an overev report at the time of delivery. He refused, said he didn’t “need” to sell and stopped communicating. There were several others that I communicated with owners and dealers about, but they were either priced way above market or had issues. I’m a mild enthusiast, and frankly shocked at how little many of the owners know about the car, and maintenance needs. I’ve paid over $600 in inspection fees and spent countless hours, but still no car. Any suggestions? Oh man, I feel your pain on this one. Every month I’m hunting for a handful of used 911s for clients and it gets more challenging every time. The problem is, as you well know, the 997.2 generation cars are rapidly increasing in value. For those of you who are not tuned into the whole used Porsche scene the 997 generation cars had two versions, the 997.1 that had a carryover motor from the 996. Some of those motors had a fatal flaw called the IMS issue (you can read more about that here). The 997.2 cars had a new engine that would not catastrophically fail, therefore these cars are much more desirable. The issue you are running into is that there is a dwindling number of “quality” 997.2s in the low to mid $40,000 range. The price points for well-sorted cars are typically in the high 40s to low 50s. I’ve seen low mile S and 4S cars sell in the low 60s. If you want something good you either need to increase your budget or keep plugging away and hope you luck out. I have a problem... I have driven about 15 different examples of the Dodge Challenger (all R/T or faster up to and including a used Hellcat, all newer than 2011 with the updated suspension, and all with the Tremec manual trans), and I can’t get the car out of my mind. In so many regards it is absolutely the wrong car for the 43 year old father of two little boys and husband of a college professor, but they just feel right. Am I going to regret getting one for $16-$18k with around 50k mi for a daily driver? My inner justifier keeps saying things like, “It has the same chassis and engine as the Charger, which is an ultra- safe police car with a 250k mi duty cycle” and, “The trunk and back seat are huge... I won’t be losing hardly any utility compared to my ‘05 Camry.” Long and short... am I getting ready to make an unbelievably dumb decision, shaming my ultra-sensible, Prius-coveting wife and saddling my family with the financial burden of an emotional purchase? So here is the thing, whether or not this is a “financial burden” or a “wise decision” depends on a variety of factors. First, how do you plan on paying for the car? If by cash or mostly cash, due to the fact that a Challenger in this price range is already well depreciated you wouldn’t really have to worry about being underwater. So worst case scenario, you buy one then drive it for a year or two and get it out of your system then move on to something else. Your cost of ownership during that time would be minimal. Can A Dealer Charge Me More For Paying Cash?